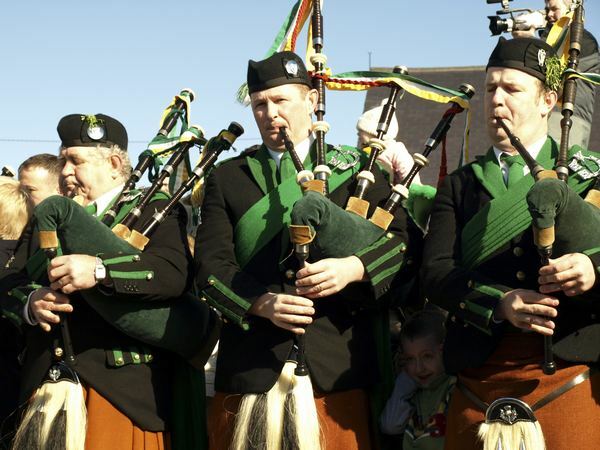 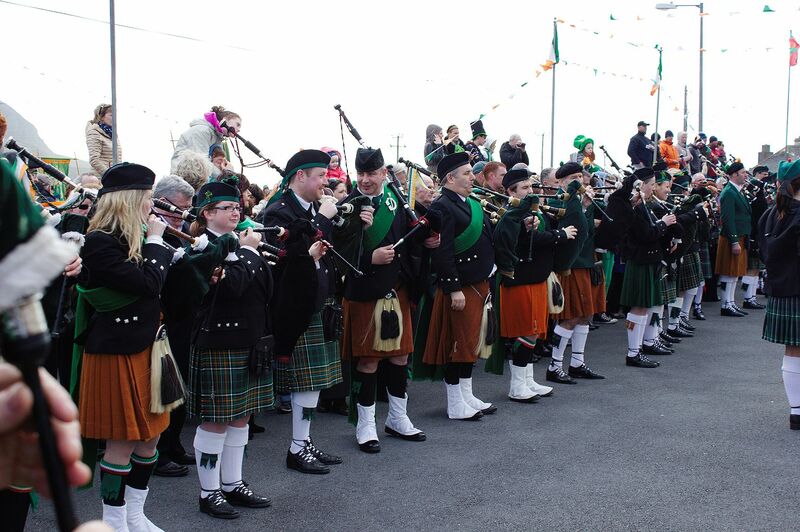 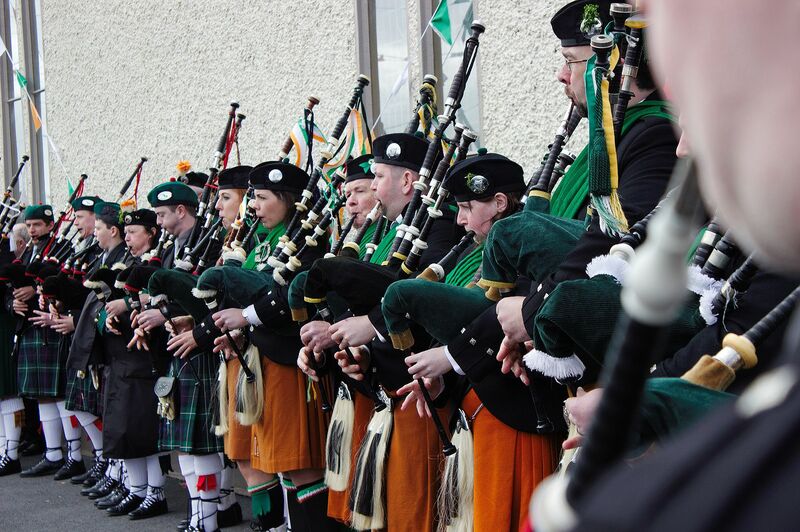 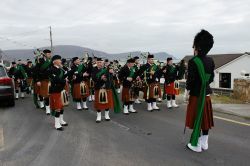 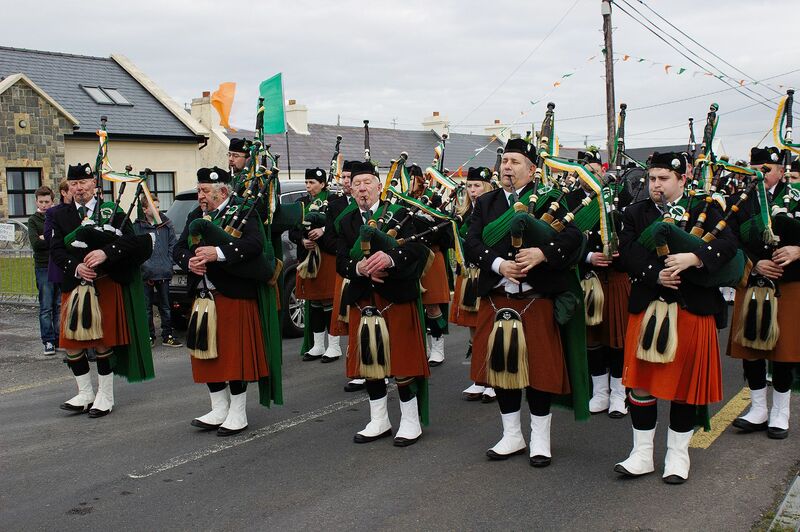 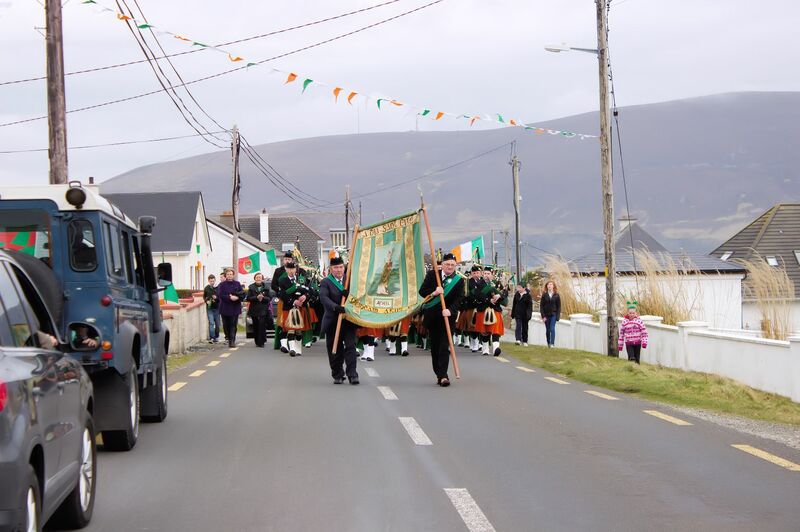 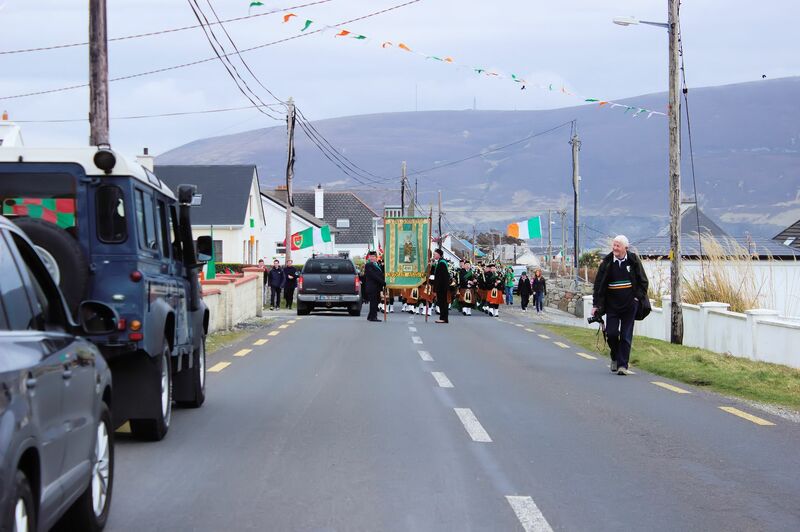 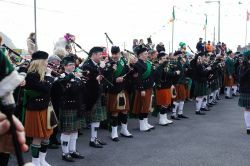 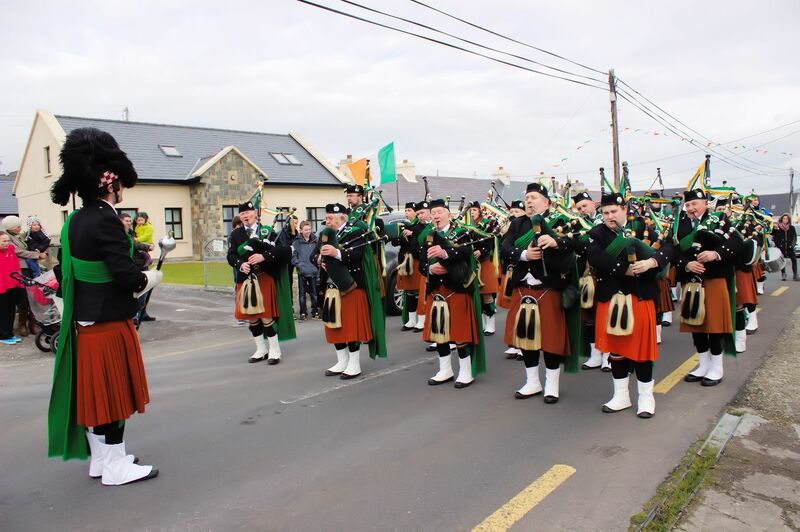 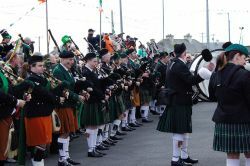 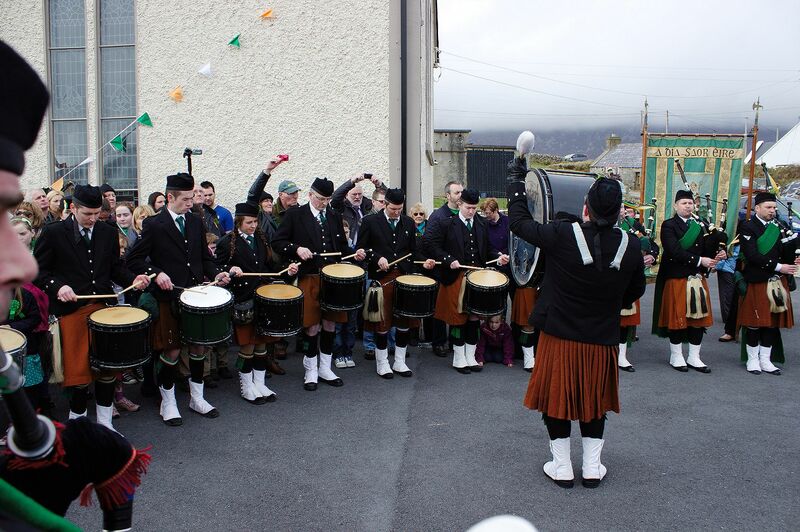 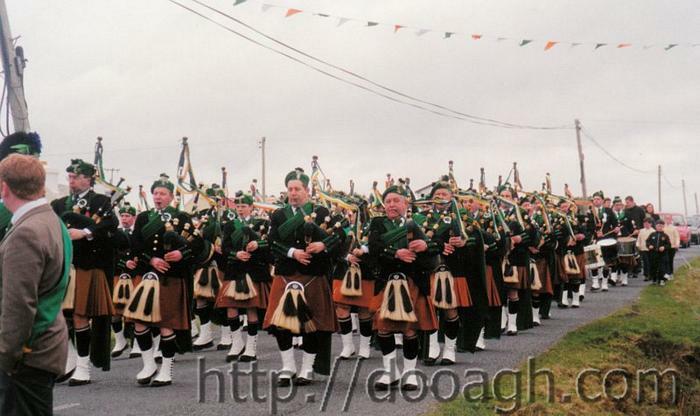 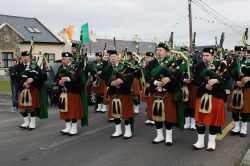 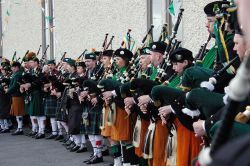 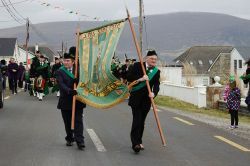 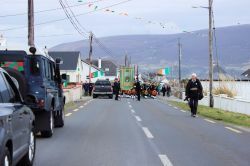 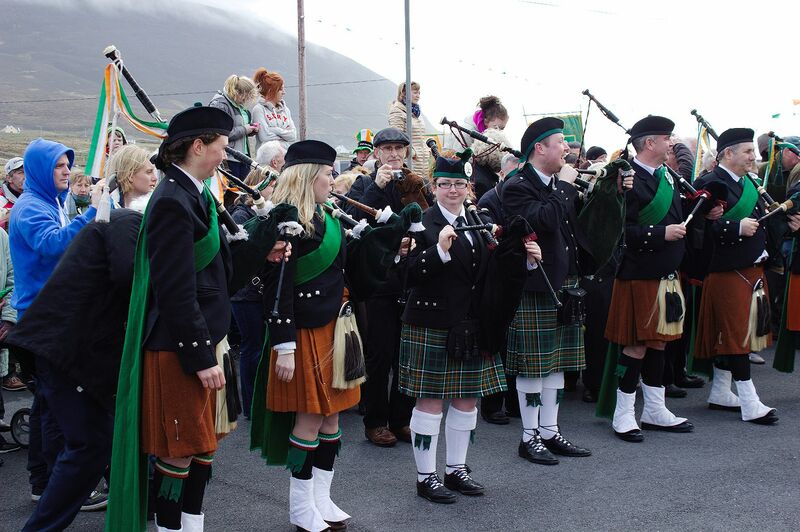 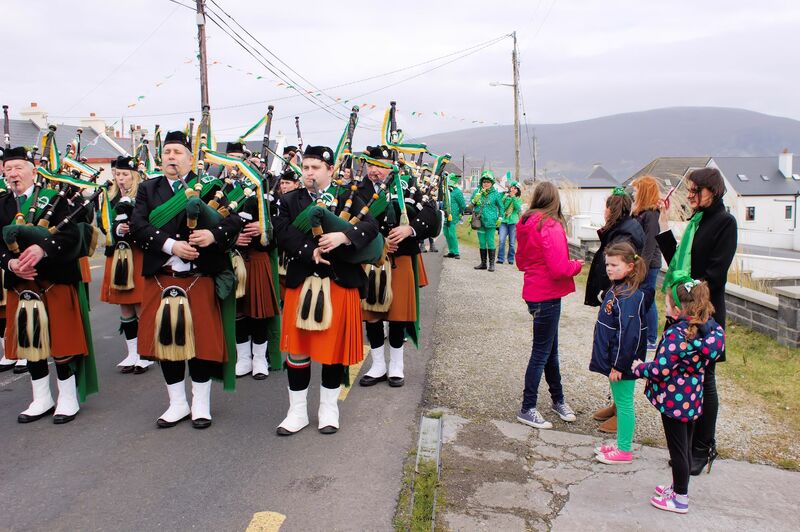 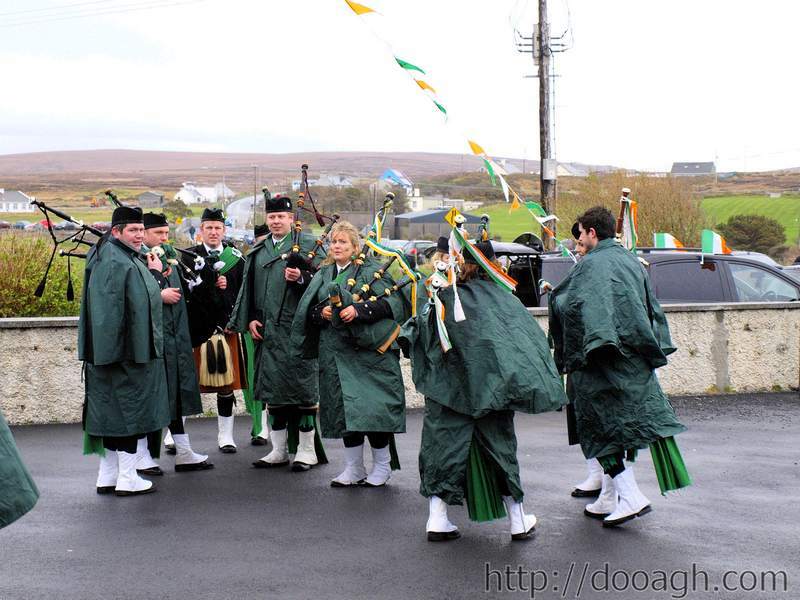 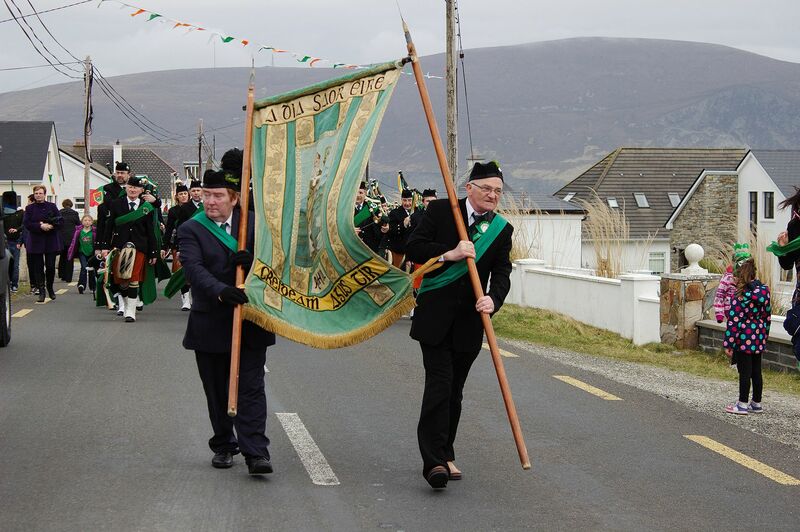 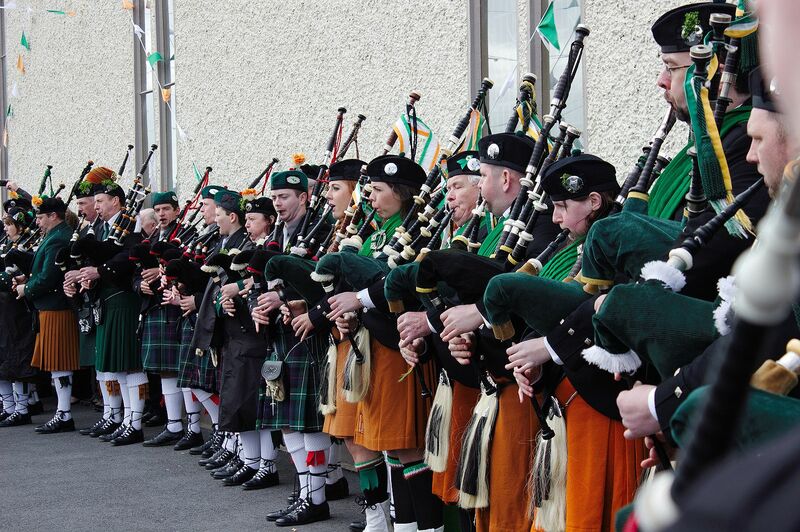 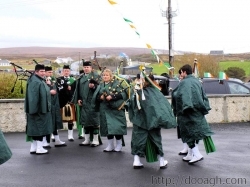 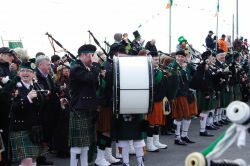 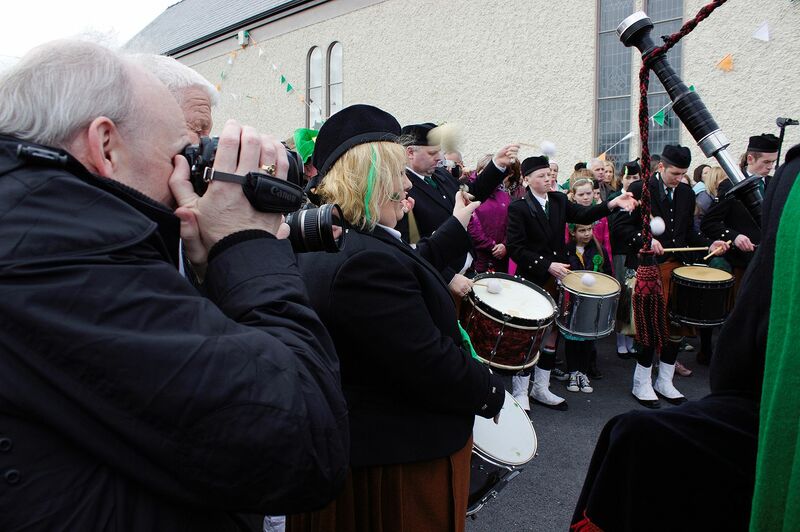 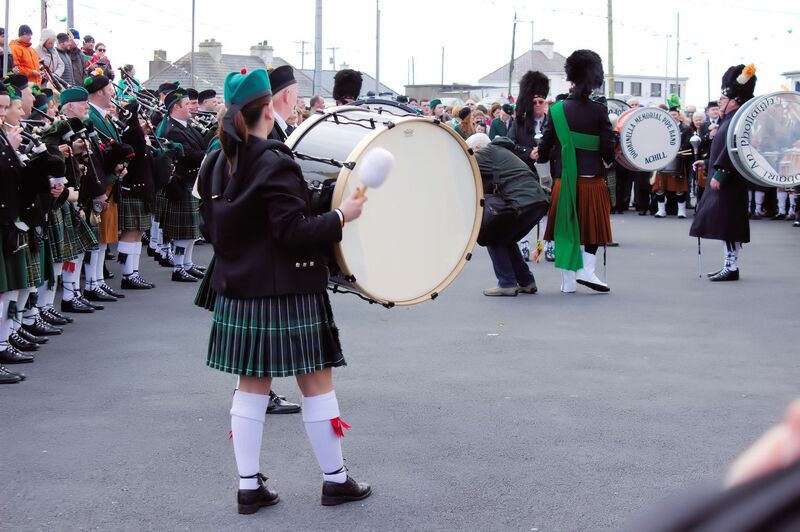 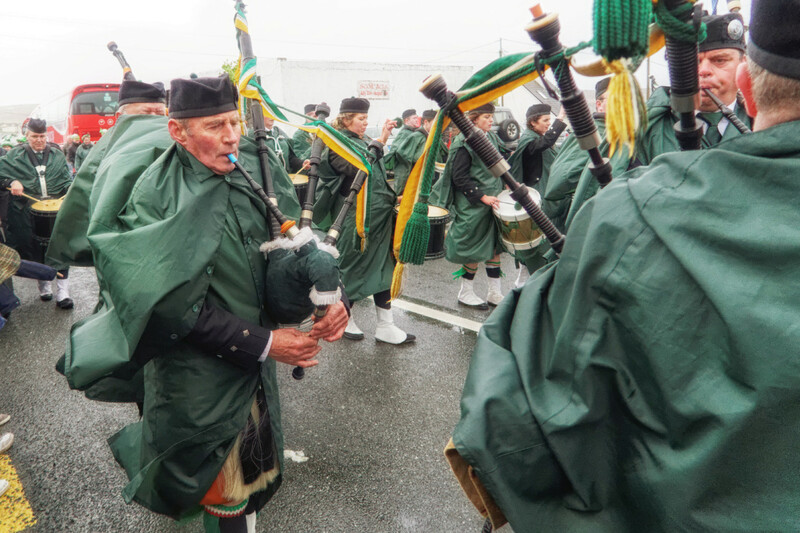 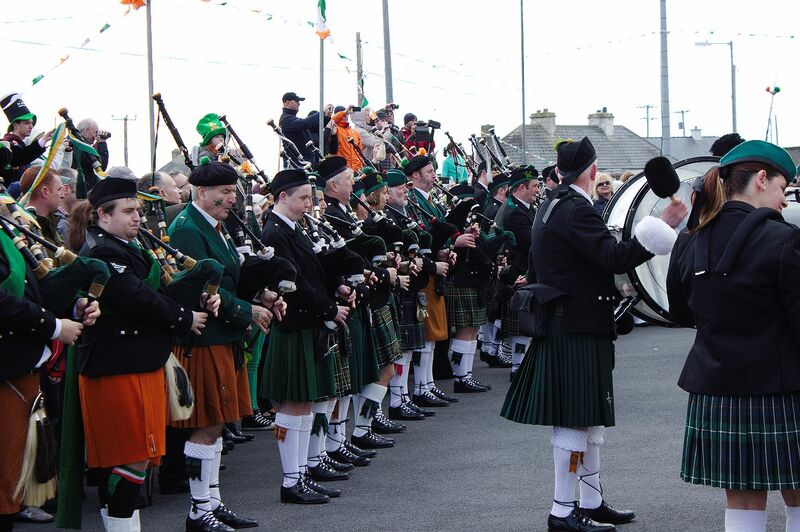 This is the gallery of photos of the St. Patrick’s Day Parade on March 17th, 2014 featuring the Dooagh Pipe Band. 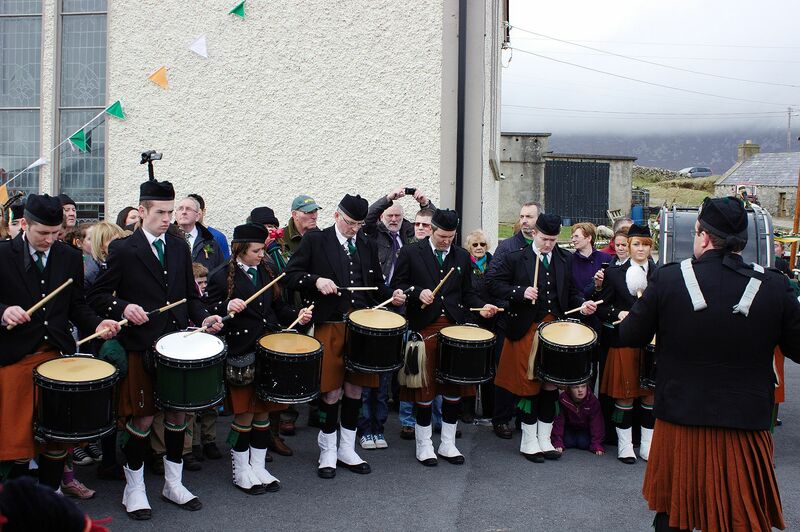 Considering that St. Patrick’s Day was on a Monday this year, the size of the attending crowd was excellent. 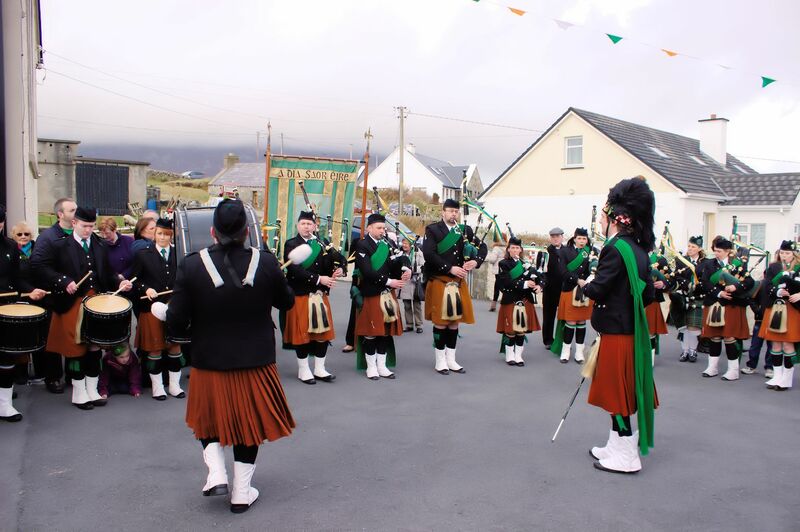 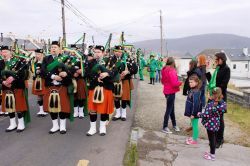 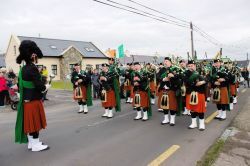 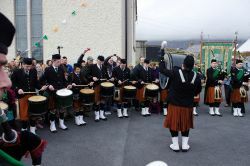 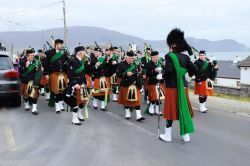 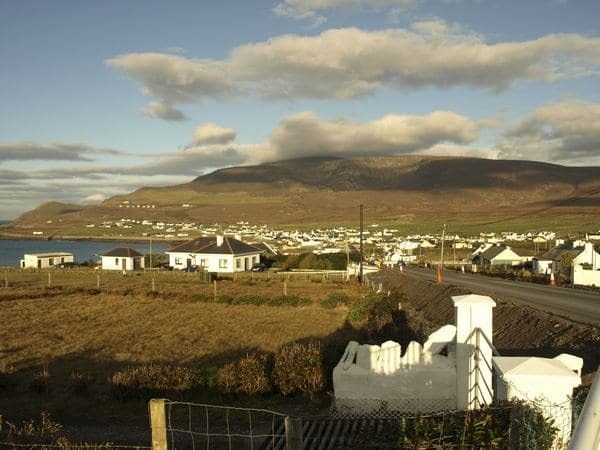 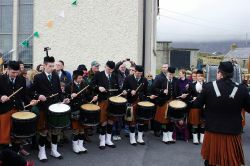 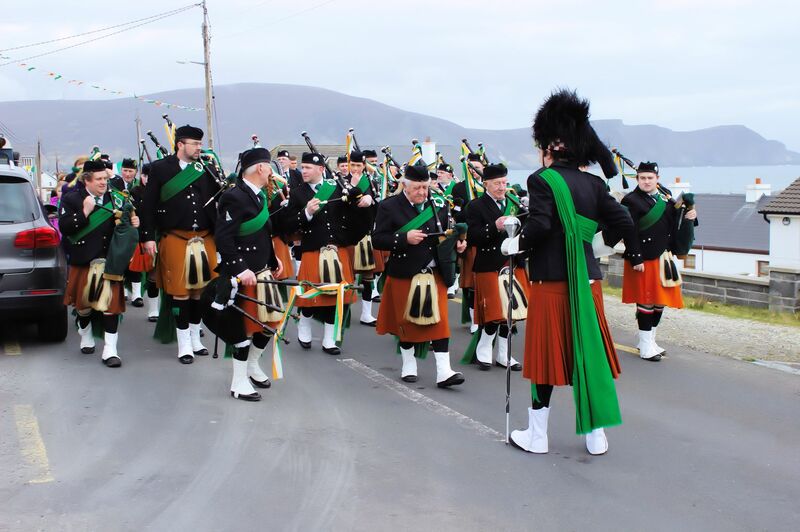 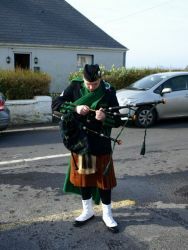 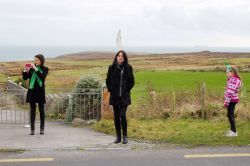 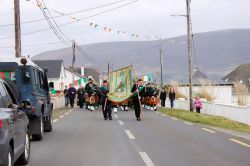 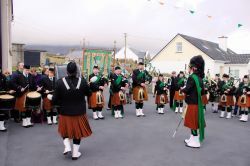 In addition to the four lower Achill pipe bands at Pollagh Church, the Clew Bay pipe band came all the way down from Westport to play a couple of tunes. 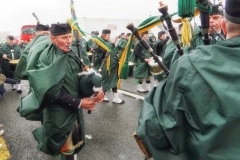 The day itself was a mixture of sunny spells and showers but a big improvement on 2013. 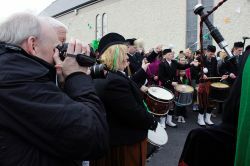 The revellers didn’t mind and the large number of followers of the band as they marched back west.